"Our renewed agreement with Delaware Valley ACO is helping bring the future of health care here to Philadelphia"
PHILADELPHIA--(BUSINESS WIRE)--Humana Inc. (NYSE: HUM), one of the nation’s leading health and well-being companies, has renewed its value-based network agreement with the Delaware Valley Accountable Care Organization (DVACO) providing continued health care access to some 9,000 Humana Medicare Advantage members in Greater Philadelphia. The new agreement is effective Jan. 1, 2017 and is designed to offer a proactive and wellness-focused health care experience and financially reward doctors for high-quality care. On average, through the first three quarters of 2016, current Humana Medicare Advantage members served by DVACO providers under value-based care experienced: fewer ER visits and lower hospital readmission rates, higher screening rates, including those for colorectal cancer (+16 percent) and breast cancer (+10 percent), and healthier outcomes versus Humana Medicare Advantage members who were treated by providers in standard reimbursement arrangements. This value-based agreement unites DVACO and Humana around the common goal of improving the health of the Humana Medicare members served within the DVACO network, which serves a wide geographic area across the greater metropolitan region of Philadelphia. Under the terms of this agreement, both organizations will benefit financially if the health of this population improves. Accountable for the health outcomes of more than 200,000 members of the Greater Philadelphia region through the Humana agreement and other arrangements with Medicare and local commercial payors, DVACO is one of the largest Accountable Care Organizations in the United States based on total number of covered lives and was named one of the “100 ACOs to know” in 2016 by Becker’s Hospital Review. Humana’s agreement with Delaware Valley covers nine acute care hospitals, two rehabilitation hospitals and a variety of ancillary health care services. Value-based care represents a significant shift from the historic model of health care known as fee-for-service, which focus incentives on the treatment of sickness instead of disease prevention and keeping people in good health. In the fee-for-service model, physicians are paid and incentivized primarily based on volume (number of services they perform), instead of improved health outcomes for the patient. By contrast, transitioning to value-based payment models means that physicians are reimbursed primarily for the health outcomes of the patients they serve, rather than the number of services they provide. 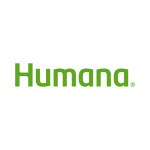 By focusing on quality and health, Humana experienced 18 percent lower costs in total in 2014 for Medicare Advantage members who were treated by providers in a value-based reimbursement model setting, compared to Centers for Medicare & Medicaid Services data for similar situated Medicare beneficiaries covered by original fee-for-service Medicare. As part of the agreement, DVACO and Humana will develop strategies to improve the health of Humana’s Medicare Advantage members in the five-county Philadelphia metro area, lower costs, and manage the ongoing health needs of the population. DVACO utilizes data and tools supplied by Humana to help identify gaps in care, follow up on Humana members needing primary care physician visits, and to identify high emergency room utilizers and at-risk Humana members so they can receive the right care before requiring serious medical attention. Humana members will also benefit from wellness programs and screening and monitoring for chronic conditions such as diabetes and heart disease. Established in 2014, the Delaware Valley Accountable Care Organization (DVACO) is one of the largest Medicare Shared Savings Program (MSSP) Accountable Care Organizations in the U.S., serving a wide geographic area across the greater metropolitan region of Philadelphia. With more than 670 primary care physicians (PCPs) and 107,000 Medicare beneficiaries, our vision is to help providers come together as more than the sum of their parts in their journey from volume to value.